The 2018 Registration for 2019 Primary One students is almost upon us. If you have not already done so, it is time to evaluate your child’s chances to get into your desired school. To help parents, we have computed the oversubscription risk for each school, taking into account the registration history for the past 12 years (2006-2017). The risk value is normalised to between 0.0 and 1.0 based on the school with the highest risk for the Phase. It is computed on a linear weighted average (the recent years being more important) based on the intensity of the application rates and the type of balloting that may occur for each Phase. It reflects the oversubscription risk of schools which have been consistently oversubscribed every year. Essentially, schools with risk values >0.3 are at high risk of oversubscription because they have been oversubscribed nearly every year. For more information, please refer to the detailed balloting history for each school, which can be found <here>. Example: Ai Tong School is clearly difficult to get in even if you are an alumni, given the moderate risk of balloting amongst children of alumni parents. Even if you do PV or get priority through the Hokkien Huay Kuan, you must be living within 1km of the school to get a chance to even ballot in Phase 2B. It is, in fact, rated as the most difficult school to get into for Phase 2B. If you failed in Phase 2B, then you face tremendous competition in Phase 2C if you try to get into the school again. Our recommendation is for eligible parents to try for Phase 2A and 2B, but forgo Phase 2C for a safer choice. Example: Ang Mo Kio Primary is a low risk backup school for parents who stay around Bishan and Ang Mo Kio. There is a small risk of oversubscription by Phase 2C(S), but it is a good choice for parents who gambled in Phase 2C for Ai Tong. If you want a stress-free P1 Registration experience, go for Ang Mo Kio Primary in Phase 2C. Example: Bukit Timah Primary has close to no risk even up to Phase 2C(S) and is a usually a catch-all school for parents who tried but failed to get their kids into other more popular schools in Bukit Timah. The last time it was oversubscribed in Phase 2C(S) was 11 years ago, and only parents living beyond 2km have to ballot. 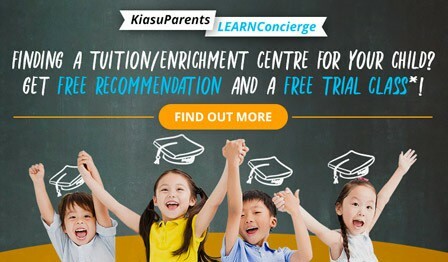 So, if you tried but failed to get your child into Nanyang Primary, Bukit Timah Primary remains a great option for you.